In the past year I have had a couple of idols of mine pass. One of them I mentioned was Columbo who showed me how to ask questions annoyingly and persistently. 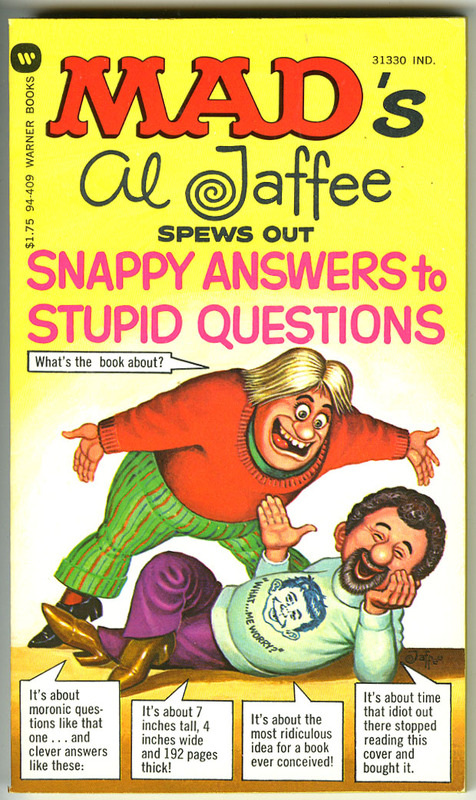 The person who taught me how to answer dumb questions both quickly and in a rather snappy way was the writer and cartoonist Al Jaffe. 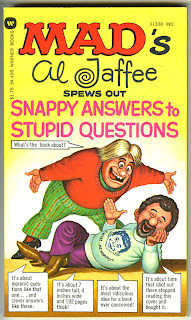 Getting me to read as a kid was painful until I found the offshoot MAD series known as Snappy answer to Stupid Questions. I suddenly found a way of thinking and speaking that suited me. 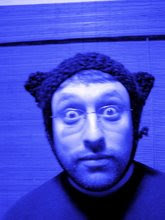 It also casued me to get beaten up but it was totally worth it. I read everyone of them and I still have them to this day. I actually had no idea Al Jaffe, 91, was still alive until I came across this fantastic video on Boing Boing. Even if you don't have time for the whole video watch the part in the beginning where he discusses how he came up with the book idea.